Recently, I had the pleasure to visit the Eastern Sierra Nevada mountain range in California. Highway 395 rolls along at elevations over 7000 feet, even in summer there are snow-capped mountains. The vistas are stunning and just breath-taking. Mono Lake is a State Natural Preserve located outside of the town of Lee Vining, CA. Lee Vining is one of the portals to Yosemite National Park via Tioga Pass. 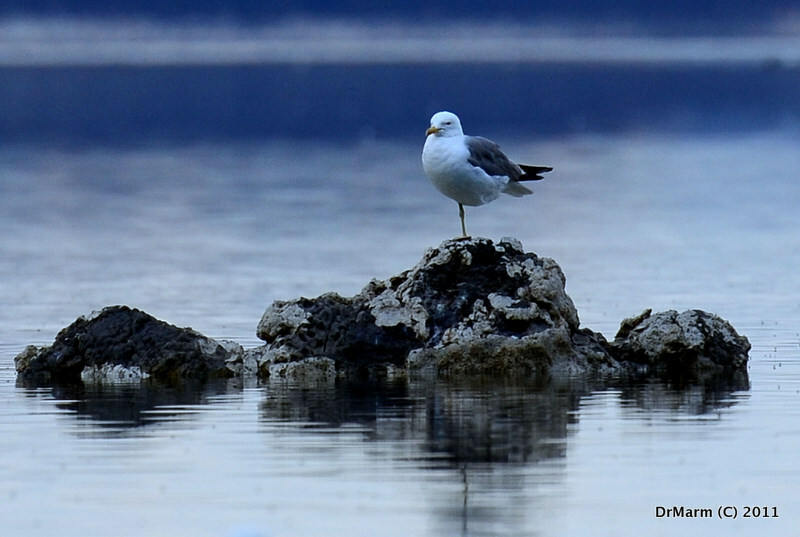 The preserve is home to millions of migrating birds, in particular huge colonies of Gulls. Wilson’s Phalarope’s are also native to Mono Lake and feed on the Brine Flies which are abundant in the lake environment. Depending upon your whereabouts decades ago, you may know the controversy that surrounded Mono Lake…water was diverted to Southern California by the LA Department of Water and Power for over 50 years. This significant loss of water caused the lake level to drop a vertical 45 feet at it’s lowest point. The animals, vegetation, and ecosystems were greatly effected. 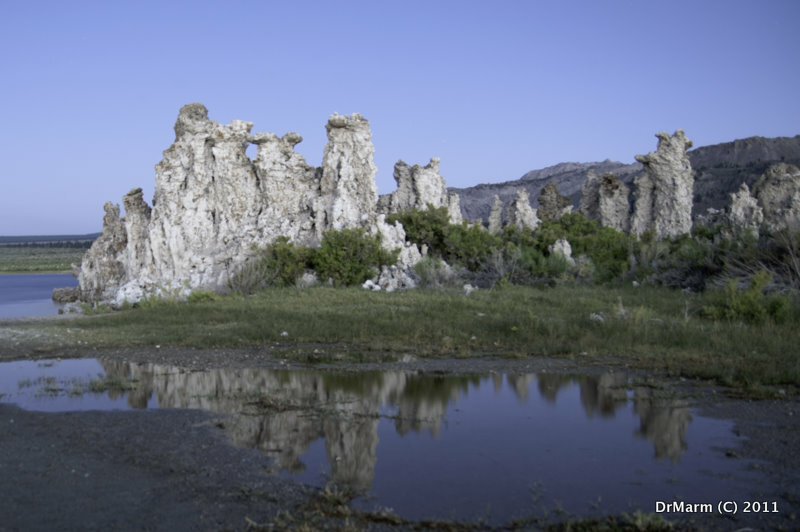 In 1994, a settlement was reached with the agreement of a minimum water level for Mono Lake of 6392 feet above sea level. 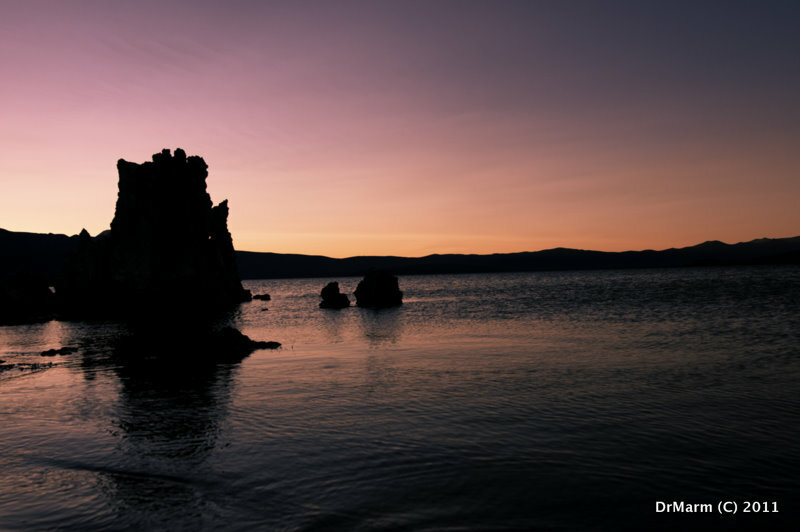 Today, we see Mono Lake in the news and this time the ecosystem may be fine–only not viewed by the public. This historic gem, believed to be over one million years of age is going to be closed as a California State Park, due to our devastating budget crisis. No specifics about how the park will be closed or which access points will close has been shared publicly. The time listed on the State Park website states October as a closing date for numerous parks, but no concrete plan is published. I for one–will make another trip there before the sun sets on my access to this treasure. This entry was posted on August 14, 2011 by DrMarm. It was filed under Uncategorized . Gorgeous spot, sad to hear of the closing though. Fascinating..had heard the name, but never seen pictures. Tufa formations! Lovely, evocative pics!